Why vehicle speed is so important to road safety, especially on wet roads? Why speed limits exists, depends on the vehicle categories and road sections? How the speed of movement and the road surface types affect the stopping distance? All drivers, and especially drivers with much more practical experience, know choosing the driving speed must comply with traffic conditions – as width of the road, number of road lanes, traffic intensity, variety of road users (pedestrians, cyclists, motorists and etc. ), road surface state and the vehicle technical state (including its category and tires), weather conditions (fog, snow, rain, darkness …), transported cargo type. Its true that the vehicles are not possible to suddenly stop, and it require some time and distance from the time of start braking to full stop of the vehicle. The more heavy is the vehicle and the faster it drives, the longer stopping time will continue. The reason is the physics and basic physical principles, every driver should be familiar. 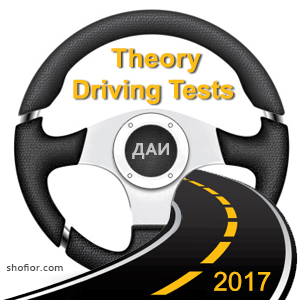 Speaking of physical principles, that includes general physics laws and physical condition of the driver (upon which his/her reaction time response in critical situations depends). An average time, the driver need to react in a sudden accident or danger on the road, is about 1 second. If the driver has less driving experience, this time increases. 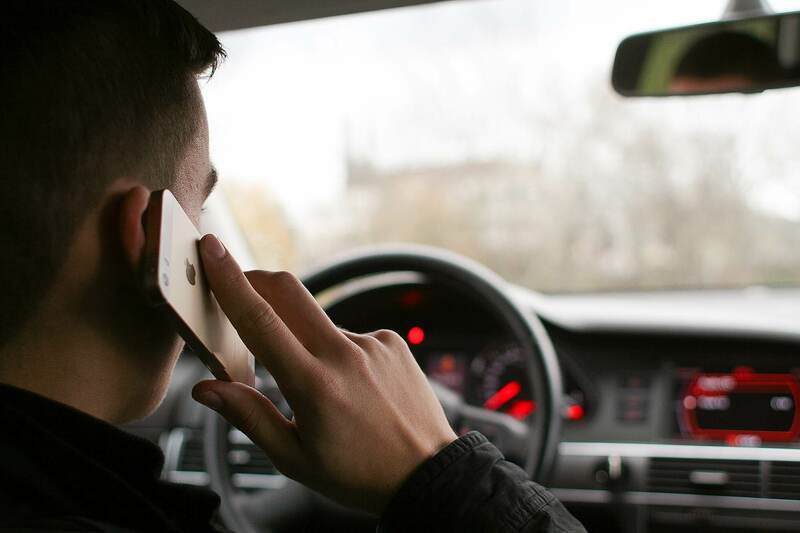 Inexperienced drivers often react more slowly due to panic, not knowing what to do, unprepared. Also if the driver is tired, the response time increases to 2 seconds. More response time needs the older drivers (on age over 60 years), in general. Driving under the influence of alcohol or psychotropic substances affects to significant in reaction time of the driver. It means more time to react in case of emergency and poor judgment of a distance to an object on the road. How do we calculate the stopping distance of a car? After activation of the brake system of the vehicle, the time needed for its full stop is determined mostly by the speed of movement (before pressing the brake), the condition of the road surface, the type of tires and the car itself. More slippery pavement, more worn tires, heavier vehicle and high speed, the greater will be its braking time (more distance will be traveled by the car to its complete stop). 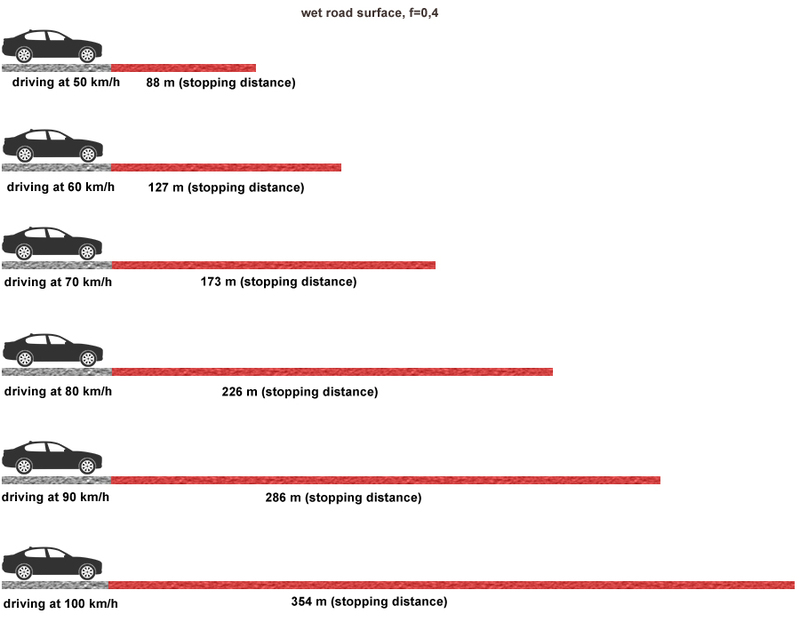 In case of driving at a speed of 50 km/h and adhesion coefficient of 0,4 (typical for wet road surface and good tires), the braking distance of the car: 88 m.
Actually YES, especially if pedestrian suddenly jumped on the road at the night, when the driver visibility to the road is greatly reduced. The driver’s visibility zone, at night, is within the zone illuminated from the headlights, which is no more than 150 meters ahead. In bad weather conditions this visibility greatly reduces!!! How the stopping distance changes at different speed? 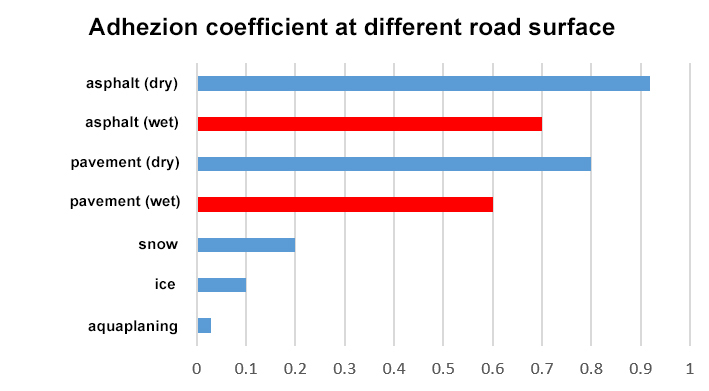 The adhesion coefficient, between the car tires and the road surface, depends on the road type (and conditions) and quality of the tires, ranging from 0 to 1. On a slippery road it is about 0.4, but the more worn tires decrease its value to 0.2 or less.